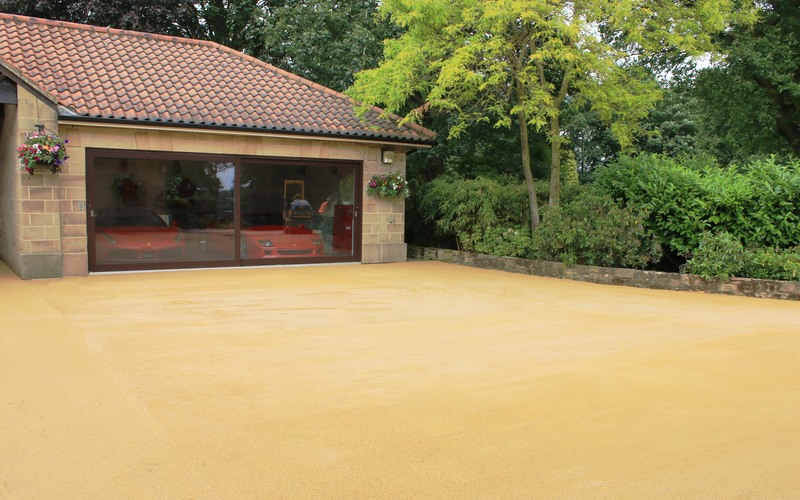 Our East Hardwick client required a new, highly-presentable surface for their premises, which is sometimes used to hold large social functions. The scope of works included a main entrance drive, and small exit road. 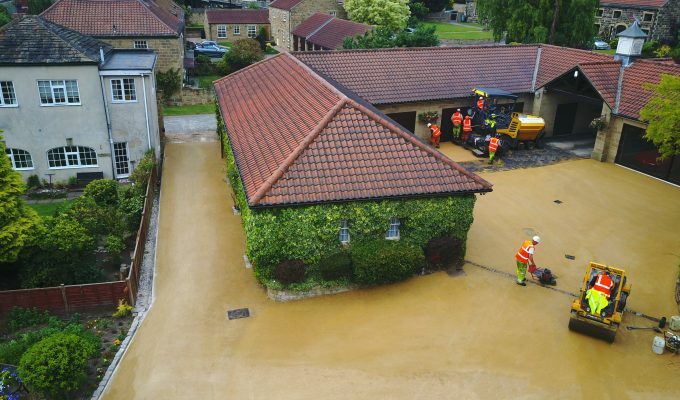 Prep works for the project involved the planing and excavation of the existing area, along with the adjustment of iron works as needed, ahead of the laying of approximately 130 tonnes of steel slag binder course. 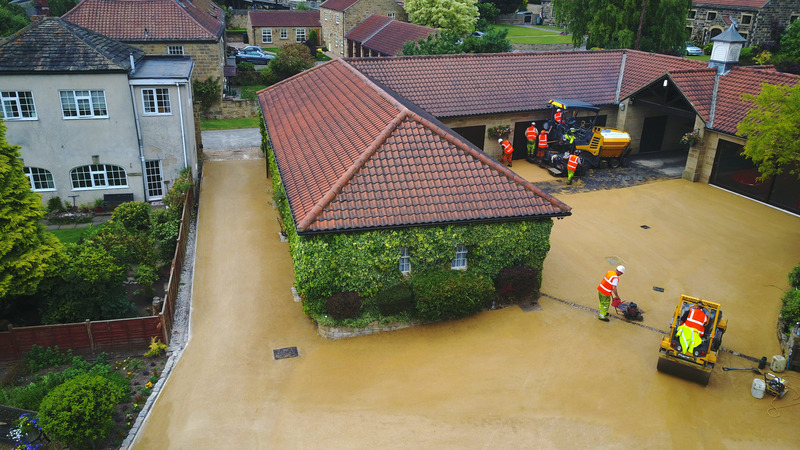 Following this, we laid a 6mm limestone surfacing course as a regulating material to ensure levels were as precise as possible prior to the finishing course being laid. 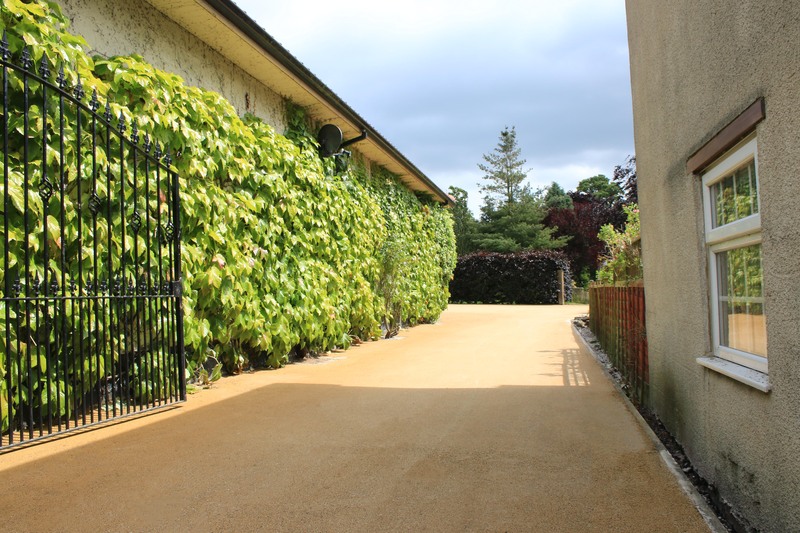 In addition to this, we supplied and laid B125 gully grates and manhole covers. Works on the small exit road followed the same procedure, with 40 tonnes of planings added to create another layer, prior to the laying of the main surface course. 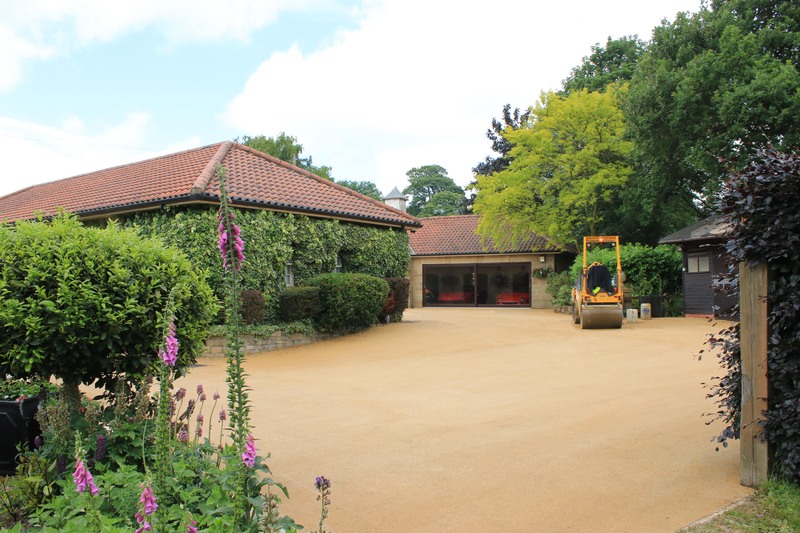 The works entered the final phase with the laying of approximately 100 tonnes of buff SMA (stone mastic asphalt), at an average depth of 30mm, to create a quality finish that perfectly complimented the picturesque surrounding grounds.